How to get spring/summer ready pins! 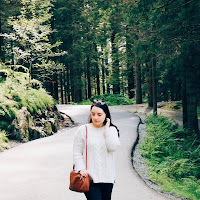 The weather has been a lot better the past week or so, so I thought it was time to create a post about getting spring/summer ready in a vague hope of getting some more sunshine! The weather in England, even during summer, is no where near the temperatures I experience while on holiday so I do only use these products and tips mostly before and during my holidays in august. Firstly, exfoliating and prep! Hair removal, we all hate it and it can be quite expensive and painful. Before removal I do exfoliate in the shower and exfoliating gloves are one of the easiest ways - just use your normal body wash but with the exfoliating gloves your skin gets a good scrub as well. I mainly shave (as I am too scared to try other methods that are painful - waxing...). I use wax strips for my eyebrows and that is fine but anywhere else and I cringe immediately! 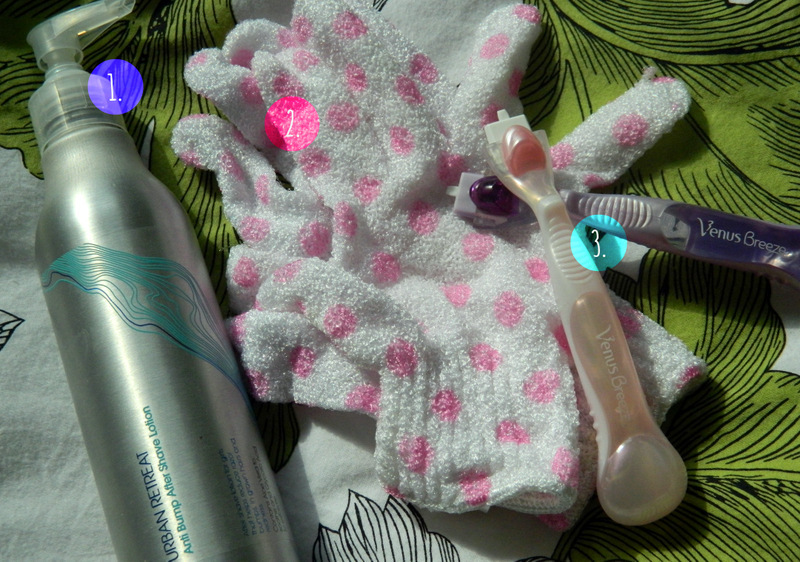 I use the Venus Breeze/Spa Breeze razors which are fantastic and almost fool proof (great for me!). I have wanted to try laser hair removal for a while but it is pretty expensive, however there are many devices on the market - for example, Tria Hair Removal Laser (link to the Tria site here). Now after exfoliation and hair removal I usually use an ingrown hair lotion as I can get red bumps on my skin after shaving which can be quite irritating - I have been using the Urban Retreat Anti Bump After Shave Lotion which is fantastic! The lotion is light, it absorbs super quickly and it seems to work! Now onto body butter and moisturising. After body scrubs, exfoliating gloves and painful hair removal, what the skin needs now is a good dose of moisturiser to smooth and soothe the skin. Before and during my holidays I always use a good firming body lotion (anything that helps is welcome!). The Nivea Q10 firming lotion is good, the Clarins Firming Body Cream is good too but my favourite (and most effective) firming body cream is definitely the Jergens Firming lotion! I also really like the Rituals Magic Touch Body Cream which smells gorgeous and it absorbs super quickly! 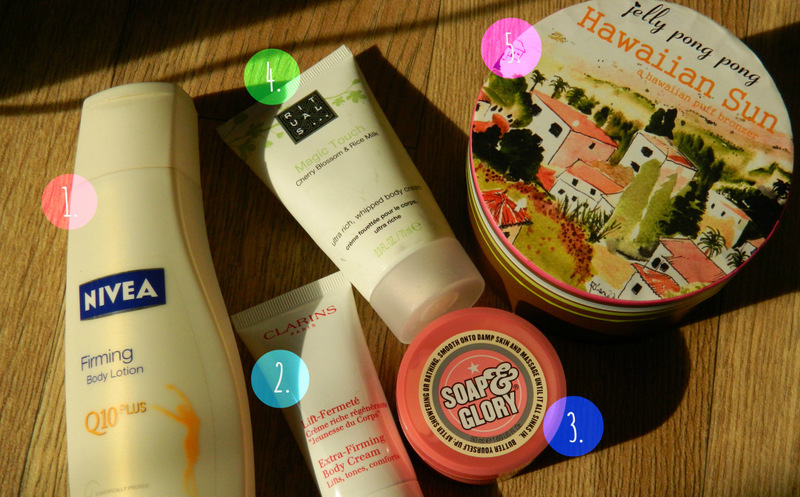 Soap and Glory scrubs and body butters are great too and they smell delicious. Then when it is time to go out in the sun I find that I need a little bit a help (well a lot of help as I am as pale as a ghost!). I love the Jelly Pong Pong Hawaiian Sun Body Bronzer - it is great for my pale skin and it looks natural and leaves my skin looking sun kissed in a matter of seconds! 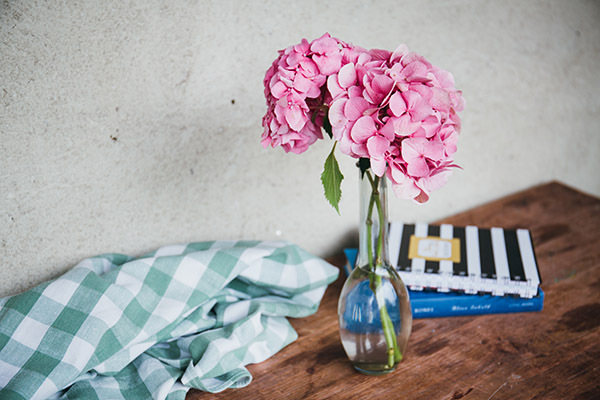 Do you have any spring/summer ready tips? Great little post idea, and great tips! Fun Spring-y post, I really ejoyed it! I am having IPL done on my underarms and bikini but not on my legs (yet) because my hair is really blonde, almost white there, so I'm not sure if it's worth it - I don't even have to shave since it's invisible until you are really close! 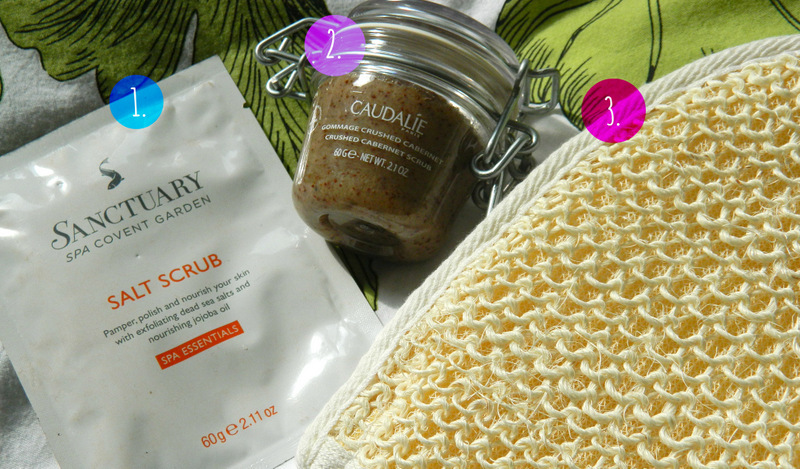 That caudalie scrub is so cute...the pot is just too cute hehee. Love this post not one you see very often but really good :D What do you use to edit your photos its a really nice finish!